We are very fortunate to call Maui our home. It is such a special place with tremendous natural beauty and the best weather on the planet. Our real estate offerings include vacant land, condominiums, homes, and commercial investment properties in a wide range of price points. Many of our clients purchase properties that are used as vacation or rental properties, and some simply choose to make Maui their home. If you are planning on spending extended periods of time on our island, my advice is simple: Purchase a property that fits your family's lifestyle, embrace the culture and traditions of our island home and get involved in the community. If you do this, you will absolutely love it here. Our real estate market fluctuates according to supply and demand just like everywhere else. Our search site is designed to give you all of the tools necessary to see the available properties on the multiple listing service. We also have access to properties that are not on the MLS, so let us know what you are looking for. We have three offices to serve you. Our West Maui office is located in the Napili Plaza Shopping Center, our Wailea office is located in the Shops at Wailea, and our Upcountry office is located on Baldwin Avenue in the heart of Makawao. We cover the island and have over fifty full time agents with extensive knowledge of real estate in their areas of expertise, whether it be from Kapalua to Hana or anywhere in between. As you begin to think about buying a Maui property, you're probably aware that this is a significant and life changing investment decision. You might also be wondering if there's anything you really need to know as you go into this process. This is where we come in. With our help, you will come out on top through informed and intelligent information that will pave the way to a successful purchase. We are a dedicated group of goal-oriented Realtors with extensive market knowledge. We continually monitor the available properties and help to identify potential opportunities. We will give you the facts associated with any interested properties. We are seasoned professionals who can negotiate on your behalf. We have an extensive list of service providers and other professionals who will make your transition easier. We will help you navigate the nuances inherent in owning Hawaii property. We maintain solid working relationships with other Realtors and Affiliates in the real estate industry. We will help you make a sound investment that pays off down the road. 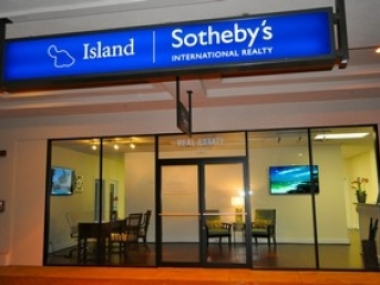 We have an extensive global network through Sotheby's International Realty. New homes for sale hit the market daily. As your representative, we will be in regular contact with sellers and other real estate agents to ensure you see the newest listings right away, whether or not they're made public. Often, our clients can put in offers with little or no competition and walk away with an impressive deal on the property of their choice. Your agent will also make sure you see only the properties that meet your needs and investment preferences, so that you don't spend time on listings that aren't of interest. As you compare the best deals, we'll provide you with important information about the home, its neighborhood, zoning issues, utilities, permits, and nearby plans for development. Many real estate transactions include an extensive negotiating process, and as your buyer's Agency it will be our job to represent you here and get the best deal possible. We take our fiduciary responsibility very seriously and will do our best to ensure a smooth transaction. We'll also attend property inspections, make sure any and all agreed-on repair work is carried out, and handle the myriad of paperwork related to your transaction. We can also help set up the financing for your invesment, and work directly with a broker to provide you with a seamless service package. Working with a dedicated agent on your next home purchase will save you time, and add professional assurance to every step of the process. To get in touch with us today, please contact us whenever you'd like.